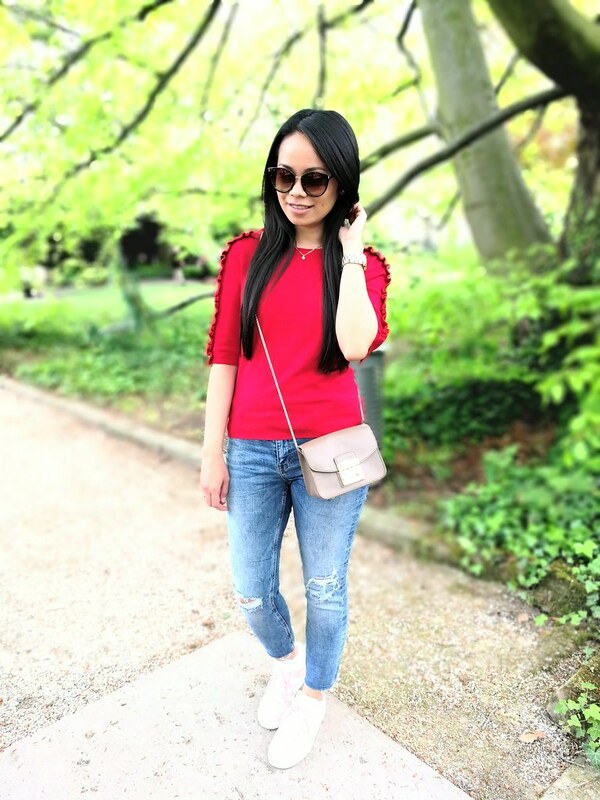 This is my fav outfit for spring so far. 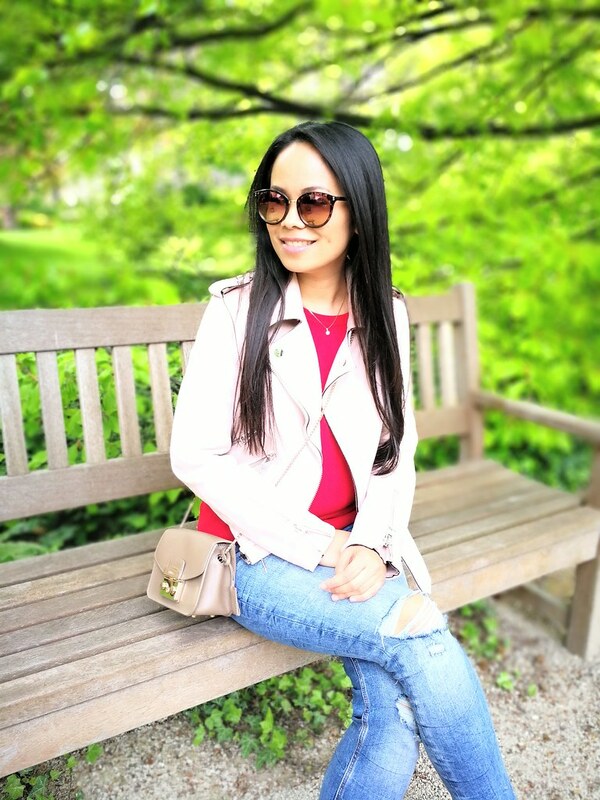 I love the blush suede jacket which I got from Zara. 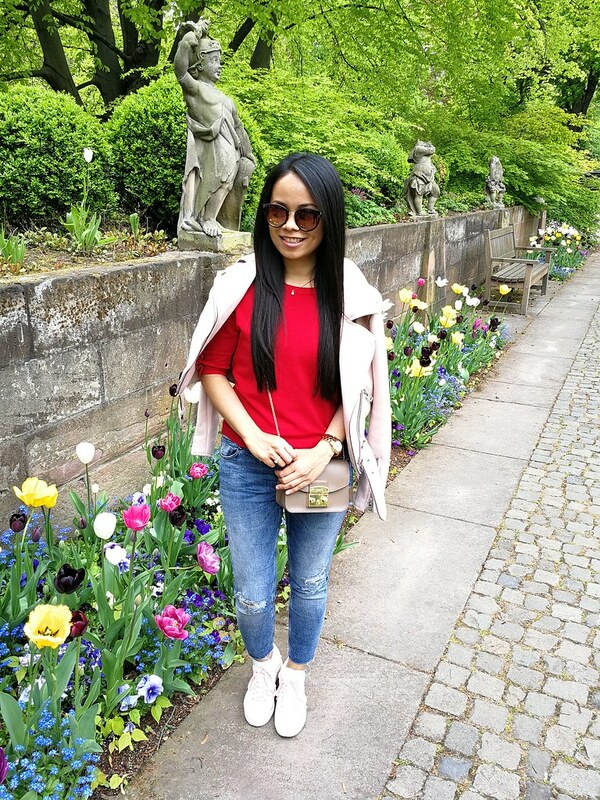 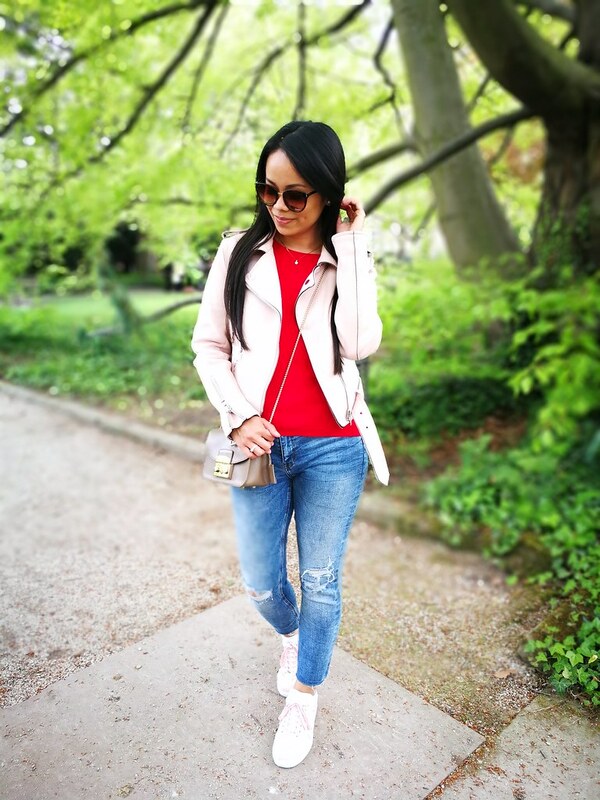 It's the perfect jacket for spring and I just love the blush color, you can easily combine it with everything. 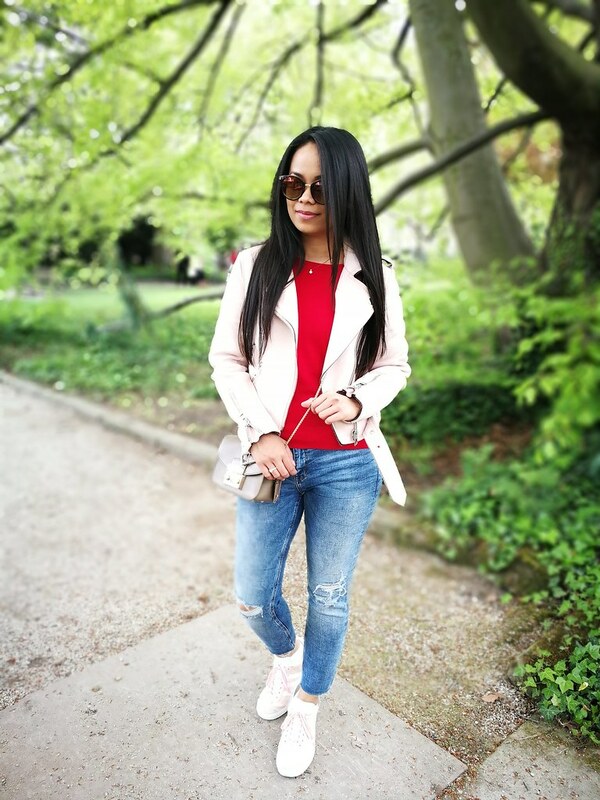 The perfect match for this jacket is definately the Adidas Gazelle in pink, they are just like made to be together, haha. 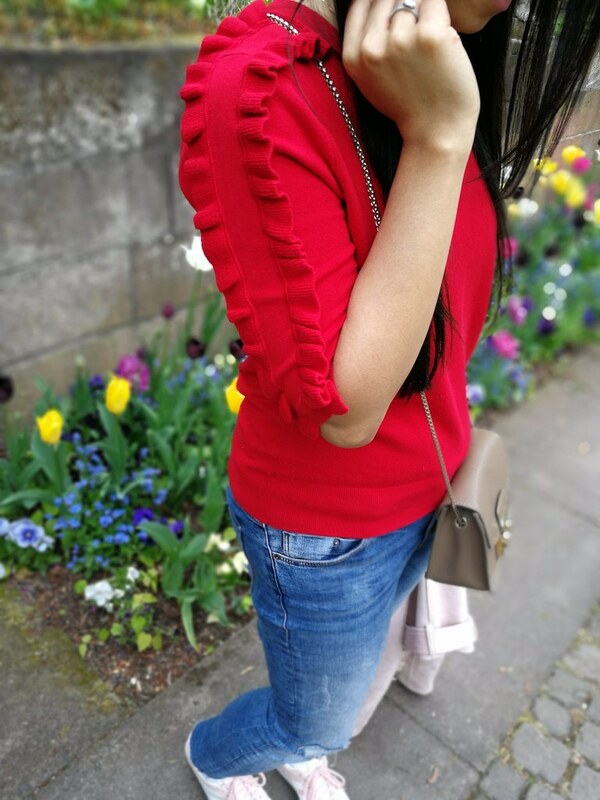 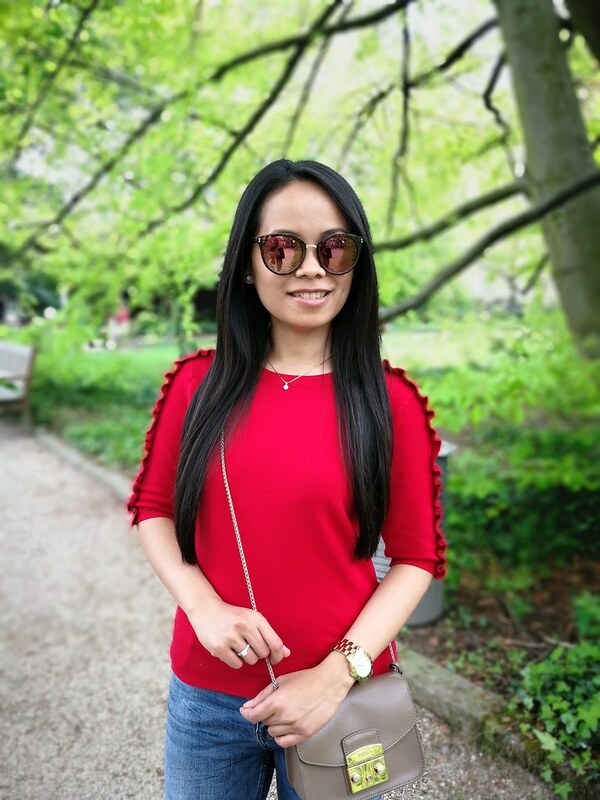 The red ruffled top is my recent purchase from Zara, it has such a nice ruffle details on arms and the material is so soft, feels really good on skin.